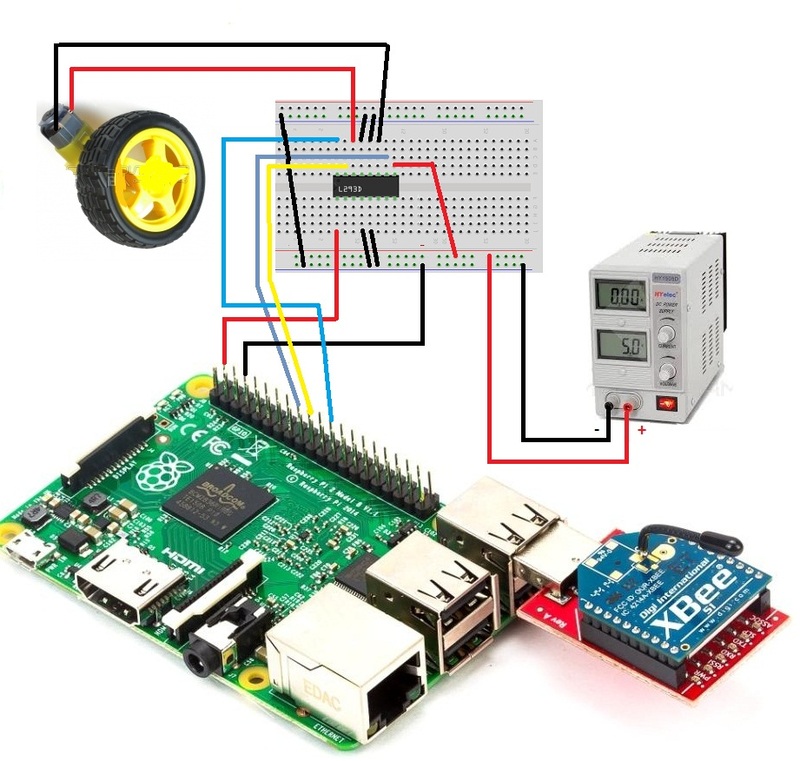 In the previous tutorials we had seen the Zigbee communication and DC motor control in Raspberry Pi2. Now we have to interface these two modules for developing an intelligent embedded system. Our intention is to control the speed and rotation of the DC motor on the basis of commands received through a Zigbee module. A suitable paired Zigbee is connected to a PC for transmitting the commands, and there by running the DC motor through wireless communication system. Before doing the process check the zigbee communication with Raspberry Pi. 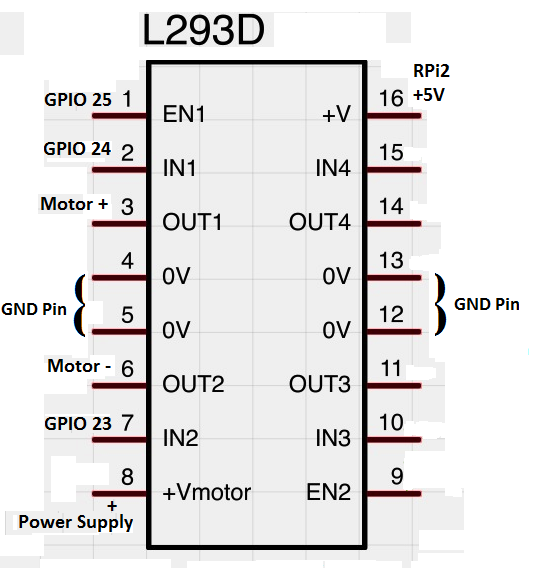 Click here to see the zigbee interface with Raspberry Pi2. After that make the connections as shown in the figure and power up the module. Write a Python script to test the process. Open the Hyperterminal in the PC where the Zigbee is connected. The modes of operations of the DC motor is differentiated on the basis of the commands transmitted through the Zigbee. Check the Motor movements by entering the commands mentioned in the code. Click here to buy Raspberry Pi 2 Starter Kit from RhydoLabz. Click here to buy Raspberry Accessories from RhydoLabz. Click here to buy XBee Explorer Dongle from RhydoLabz. An open source website by Raspberry Pi foundation. Get started with Python programming. 3 Responses to "Raspberry Pi2 Based DC Motor Control Using ZigBee"
call from raspberry pi 3 model b to mobile usind GSM sim 900a. Please provide the suitable AT commands for both the operations..
have a good day. i am new at raspberyy. did i have a change to that project with raspberry 3. and use 2 dc motor?